Xia & He Publishing publishes the following three journals. Please visit each journal’s homepage to learn more about their scope and details. All rights are reserved. Starting from 2017, the copyright on all published articles will be retained with the authors unless stated otherwise. 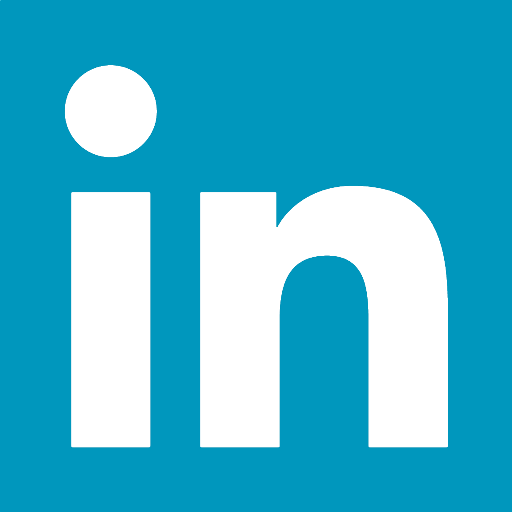 Authors grant Xia & He Publishing Inc. the sole, worldwide, and exclusive right to publish (i.e., print, publish, sell, and otherwise commercially exploit), reproduce, display, and store the published articles. For more information, please click here. Copyright © The author(s) 2013-2019. Published by Xia & He Publishing Inc. All rights reserved. Articles published by all Xia & He journals are distributed under the terms of the CC BY-NC 4.0 license (http://creativecommons.org/licenses/by-nc/4.0/), which permits use, distribution, and reproduction in any medium, provided the original work is properly cited and the use is non-commercial and otherwise in compliance with the license. Permission to publish or advertise articles or portions of articles is granted on a case-by-case basis. For request of permission, please complete the Permission Request Form and submit it to service@xiahepublishing.com. ◎ For authors from low-income countries or lower-middle-income countries, as classified by the World Bank, a maximum 50% discount of the article processing fee can be granted. Please send the request to service@xiahepublishing.com. Authors of articles published in Xia & He journals are permitted to self-archive the preprint version of the article at any time, and may self-archive the postprint and published version without embargo. All articles published in Xia & He journals represent the views and opinions of their authors, and not the views, opinions, or policies of the publisher, except where explicitly indicated. Xia & He Publishing Inc. shall not be held responsible for the use of views and opinions expressed in the articles; use of any information in the articles shall not be considered an endorsement by Xia & He Publishing of the products advertised. Xia & He Publishing Inc. Postal Address: 14090 Southwest Freeway, Suite 300, Sugar Land, Texas, 77478, USA. Website: www.xiahepublishing.com; E-mail: service@xiahepublishing.com. Please ensure that any manuscript you submit to Xia & He Publishing conforms to the recommendations for ethics of the Committee on Publication Ethics (COPE) and the International Committee of Medical Journal Editors (ICMJE), as well as the general article requirements. All submitted manuscripts will be checked using plagiarism detection software. Below are the article types accepted for publication. Please view Table 1 for a summary of the article types currently accepted by Xia & He journals. Table 2 summarizes the general manuscript guidelines for each article type. ◎ Include the PRISMA checklist as supporting information. Opinions are normally submitted by invitation only, but unsolicited articles will be considered. If you wish to enquire further about the suitability of your article, please email the editorial office at service@xiahepublishing.com. Opinions should include personal and original perspectives on an important research-related topic of interest to the general medical community, or interpretation of recent findings in any research area. The aim of opinions should be to stimulate debate or new research, discuss controversial topics, provide a new framework or interpretation of an old problem or current issue, the value of used methods, weaknesses and strengths of any scientific hypothesis, or to speculate on the implications of some recent research. Opinions must not contain unpublished or original data, must be supported by evidence, must be fully referenced, must refrain from emotionally charged argumentation. The maximum length of the main body of the manuscript is 2000 words, with no more than 2 figures and tables, combined, and 20 references. The Abstract is presented as a single paragraph with no subheadings and must not exceed 100 words. The Publishing Agreement document must accompany all manuscripts submitted to Xia & He journals. This agreement must be read and signed by every author. The Correspondence Author must certify that all listed authors participated significantly in the study, and that they have seen and approved the final manuscript. Submission to the Xia & He journals proceeds totally online and you will be guided stepwise through the creation and uploading of your files. The system automatically converts your files to a single PDF file, which is provided for your approval and will be used for the peer-review process. Please visit http://www.xiahepublishing.com/InfoTree.aspx?id=16&sid=4 to submit your manuscript. Submissions from editors, members of the editorial board or employees will go through the same rigorous peer-review process as other submissions, and will be treated no differently to any other manuscripts submitted to the Xia & He journals. To ensure unbiased review, the Editor-in-Chief, Associate Editor, Editorial Board Member, and the Editorial Staff will not make decision for, handle, or review his/her own manuscript. And all possible measures are undertaken to avoid any potential conflict of interest in handling of such manuscripts at all the stages including allocation of handling editor, selection of reviewers, decision making and, if required, processing for publication. Beginning 1 January 2019, the inclusion of highlights of the study is mandatory for Xia & He journals. The highlights consist of 3 to 5 bullet points (maximum 85 characters for each, including spaces) that show the core findings or importance of the article. The bulleted highlights should be submitted in a separate editable file in the online submission system. Please use 'Highlights' as the file name, then choose “supplemental documents” in the “document uploading” step. The Abstract will be written as a complete but succinct summary of the study, its main objectives, results, key findings, and implications for the field or specialty. The Abstract will be structured with the following section headings: Background and Objective(s), Methods, Results, and Conclusions. Acronyms and abbreviations must be defined the first time they appear. Abbreviations will only be used if the abbreviated term appears 3 or more times in the Abstract. Footnotes and references are not permitted. Ahrengart L, T?rnkvist H, Fornander P, Thorngren KG, Pasanen L, Wahlstr?m P, et al. A randomized study of the compression hip screw and Gamma nail in 426 fractures. Clin Orthop Relat Res 2002;(401):209-222. PMID: 12151898. Tables require a label (e.g., “Table 3”) and a brief descriptive title above the table. Place legends, footnotes, and other text below the table. Indicate each footnote in the table with a superscript lowercase letter. Publishing color figures in all Xia & He Publishing journals is free of charge. Images may be clinical, pathologic (gross or microscopic), endoscopic, or radiographic. Only images that are essential to justify the conclusions stated in the manuscript should be included. Each figure should be submitted as a separate JPG, TIFF, or PDF file. While in the publication process, an editable version, such as PSD, EPS, AI, Visio, WMF, EMF, Word, Excel, PowerPoint, OPJ, CDR, or PDF, would be preferred. ◎ Digital art files should be cropped to remove non-printing borders (such as unnecessary white or black space around an image, no more than 10% of total area) and should not include embedded “legend” text, figure titles, or figure numbers. ◎ Figures that do not meet the above requirements may be returned when necessary. ◎ Note that source files of figures (such as PDF/AI/PS/EPS/PPT) may be required whether you embed your figures in the text or not, upon acceptance for publication. Supplemental documents, including but not limited to tables, figures and data, should be submitted together with the manuscript. Please choose “supplemental documents” in the “document uploading” step. All documents submitted as supplemental documents will be published on-line only. It is believed that sharing exploratory and novel research results, as well as innovative and enlightened ideas or hypothesis on specific topics in form of official publication is very important, as this not only incites more extensive and fruitful research on these topics, but also engraves a historical hallmark in the journal. To this end, Xia & He Publishing established several journals focusing on exploratory research and hypothesis, namely Exploratory Journals, including Exploratory Research and Hypothesis in Medicine, and Journal of Exploratory Research in Pharmacology. Apart from the standard sections for original articles (Introduction, Methods and Materials, Results and Discussion [IMRD]) or review articles, an additional section of “Future Research Directions/ Prospect/ Prediction”, with or without “Hypothesis”, with no less than 100 words, is REQUIRED by the Exploratory Journals. However, although not required, a “Hypothesis” paragraph is highly preferred by journals other than ERHM. This section is preferably accompanied by a graph that illustrates the exploratory research or hypothesis (e.g., proposed molecular mechanisms). The proposed hypothesis or future research directions/prospect/prediction should be derived from the results of the study, although it may be preliminary, incomprehensive, or incomplete, with direct or indirect support from previous research findings in the literature. Thus, this section should shed new light on further basic and translational research, and may provide clues to approaches to clinical application. Some examples are provided below. Emma L. Beckett, Patrice R. Jones, Martin Veysey and Mark Lucock. Nutrigenetics—Personalized Nutrition in the Genetic Age. Explor Res Hypothesis Med. 2017; 2(4):109-116. The use of genotypic information in personalized nutrition offers considerable future promise, but significant barriers exist to successful implementation, independent of scientific knowledge. These include consumer acceptance, ethical, technological and regulatory considerations. Research into nutrigenetics has produced inconsistent results; however, the same could be said for conventional nutrition studies. This is not necessarily due to the overall quality of the research and the magnitude of the body of knowledge, rather it is due to the complexity interactions between nutrition, genetics, and long-term health. Improved frameworks are required to translate nutrigenetic studies into usable guidelines to direct practicing nutrition and medical professionals. This will require an interdisciplinary approach, including geneticists, bioinformaticians, nutritionists, dietitians and other biomedical professionals. Furthermore, additional research is needed not only into the gene-nutrient interactions themselves but also into the public attitudes and acceptance on nutrigenetics and the associated risks and benefits of uptake. Without a holistic approach to implementation, it is unlikely that nutrigenetics will deliver on its early promise to improve health outcomes. Helen Barnett, Nathan M. D’Cunha, Ekavi N. Georgousopoulou, Jane Kellett, Duane D. Mellor, Andrew J. McKune et al. 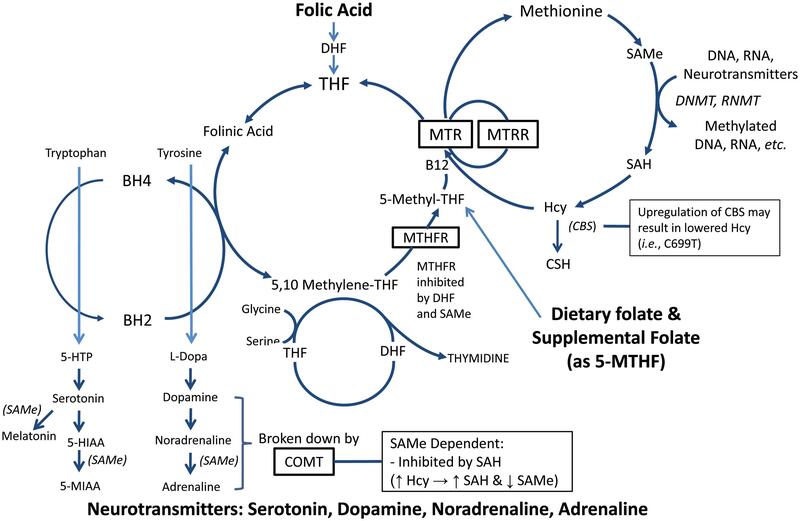 Effect of Folate Supplementation on Inflammatory Markers in Individuals Susceptible to Depression: A Systematic Review. Explor Res Hypothesis Med. 2017; 2(4):86-100. Charlotte Martin, Zoe Yates, Martin Veysey, Katrina King, Suzanne Niblett and Mark Lucock. Vitamin D-related Nutrigenetics and Cognitive Decline in an Elderly Population. Explor Res Hypothesis Med. 2017; 2(4):131-138. Further research is necessary to either confirm or refute the presently observed associations of VDR gene variants with cognitive decline as measured using the MMSE scale. By obtaining a more thorough understanding of VDR variants and their influence on risk of cognitive decline, new insights into the underlying pathophysiology of cognitive decline and development of possible intervention and treatment strategies will emerge. These may include the screening of particular VDR polymorphisms as part of a routine health check and the use of supplemental vitamin D at a younger age. Based on the preliminary results of this study, we hypothesize that the use of vitamin D as a potential preventative agent in cognitive decline will reduce the impact this degenerative disorder currently has on our health system. Sakunthala Arunima and Thankappan Rajamohan. Lauric Acid Beneficially Modulates Apolipoprotein Secretion and Enhances Fatty Acid Oxidation via PPARα-dependent Pathways in Cultured Rat Hepatocytess. J Explor Res Pharmacol. 2018; 3(1):1-11. Lauric acid, may act as a natural ligand for PPARα and has a beneficial role in modulating apolipoprotein secretion as well as fatty acid oxidation. Since regulating the synthesis of endogenous apolipoprotein secretion would be an attractive therapeutic target for reducing the atherogenicity, lauric acid itself or lauric acid enriched dietary oils can be recommended as healthy dietary interventions for reducing the risk factors for atherosclerosis. Azadeh Anbarlou, Mahshid Akhavan Rahnama, Amir Atashi and Masoud Soleimani. Selective Serotonin Reuptake Inhibitors May Improve the Efficacy of Hematopoietic Stem Cells Transplantation. J Explor Res Pharmacol. 2016; 1(1):16-19. 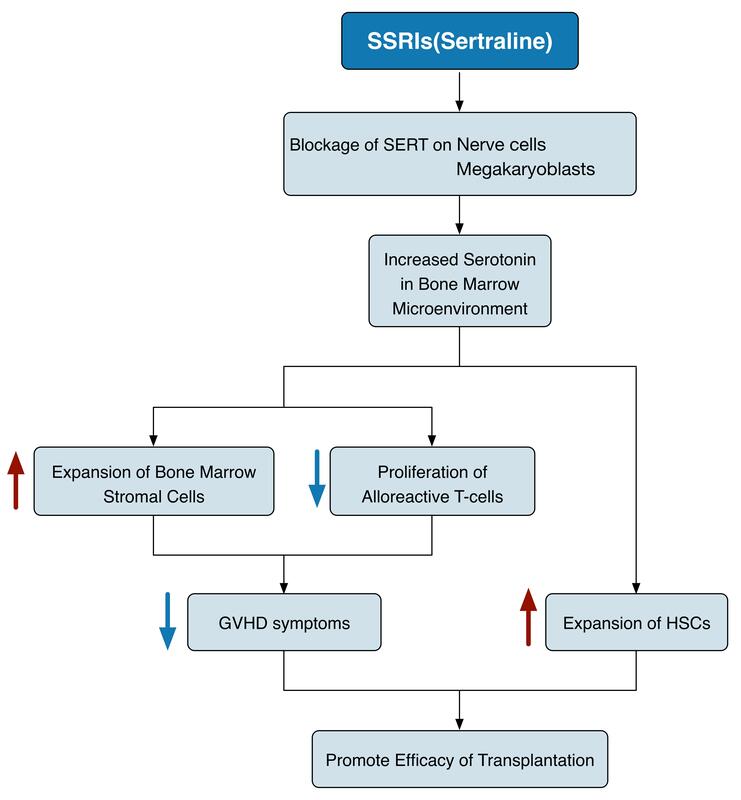 By increasing the amounts of serotonin in bone marrow, SSRIs may improve the efficacy of HSC transplantation (Fig. 1). Most studies concerning SSRIs have focused on the effects of sertraline and fluoxetine. Because the effects of fluoxetine on lymphocytes are variable under different conditions, we suggest sertraline, as its effect is solely immunosuppressive. The routine starting dosage of sertraline as an antidepressant is 50 mg/day, and the maximum is 200 mg/day,29,30 but higher doses are probably required for immunosuppression.19 The normal concentration of serotonin in plasma is 0.62±0.11 μg/L.31 Future studies must focus on the dosage of sertraline that will generate the optimum concentration of plasma serotonin for in vivo expansion of HSCs. Fig. 1 Schematic diagram of the hypothetical mechanisms underlying SSRI promotion of HSC transplantation through in vivo expansion of HSCs and decrease in GVHD. ERHM also publishes original articles with “non-confirmatory” or “negative” data that are generated from appropriate methods and materials, and refute a proposed hypothesis or challenge a currently accepted hypothesis. Systematic review and meta-analysis reporting “non-confirmatory” or “negative” findings are acceptable. Exploratory Journals also welcome articles that briefly describe novel techniques or surgical procedures, with fine pictures or videos. All articles, solicited and unsolicited, that are submitted to Xia & He journals will be subject to the following single blind peer review process, meaning that the author does not know the identity of the reviewer, but the reviewer knows the identity of the author (Fig. 1). All Xia & He journals comply fully with the International Committee of Medical Journal Editor's uniform requirements for manuscripts. Xia & He demands that all research described in its publications be conducted and reported in accordance with the guidance from the Committee on Publication Ethics (COPE) and practices according to the Recommendations for the Conduct, Reporting, Editing, and Publication of Scholarly work in Medical Journals from the International Committee of Medical Journal Editors (ICMJE). Authors are expected to carry out their research-related activities in accordance with the tenets of honesty, transparency, objectivity, and accountability. Editors-in-chief, Associates Editors, editorial members, reviewers and editorial staff are requested to pay attention to prevent and eliminate author misconduct. Xia & He Publishing reserves the right to reject any manuscript that editors believe does not uphold high ethical standards, even if authors have obtained ethical approval or if ethical approval is not required. All methods used in a study should be adequately described, so that readers may replicate the experiments as they were performed by the authors. The practice of withholding a key step (including but not limited to a reagent, procedure, tool, or technique) or any other piece of information related to the study for proprietary or personal reasons is absolutely unacceptable. Authors must ensure that all research records, including hand/typewritten documentation, films, and electronic files, are made available upon request at any time during the review process and in perpetuity after the publication of the article describing the study. Patient-related research records should meet the standard regulations of patient privacy and confidentiality. The refusal, disregard, or inability to provide research records that have been requested is considered evidence of scientific misconduct and should prompt an investigation into the need for an article’s dismissal from review or retraction from the journal; the decision to pursue additional actions to address the misconduct should be made at the discretion of the Editors-in-Chief. The authors should provide declarative statements that: (a) written informed consent was obtained from each patient prior to enrollment; and (b) the study protocol was approved by the appropriate institutional review committee (IRB), with the name of the committee and institution clearly stated; and (c) the study conformed to the ethical guidelines of the Helsinki Declaration. Information that may identify the human subject should be omitted or anonymized, unless the information is essential for scientific purposes and the patient (or parent or guardian) gives written informed consent for publication. The author’s statement that informed consent was obtained and archived is required, without exception. Xia & He journals reserve the right to ask the author to provide signed informed consent, if necessary. Authors are expected to give proper credit to all individuals and organizations involved in the performance of the research described in an article published by Xia & He Publishing. Individuals who do not meet the Authorship Criteria but who aided in the research, such as patients and hospital staff, should be appropriately acknowledged in the Acknowledgments section of the manuscript. Organizations that were contracted to perform work related to the research or that acted in a non-paid collaborative manner should be appropriately acknowledged in the manuscript. All funding agencies that provided support for the research or for any of the individuals involved in the research must be appropriately acknowledged in the manuscript. Xia & He journals have a zero-tolerance policy for misconduct such as plagiarism, fabrication and falsification. Cases of misconduct will be investigated and dealt with on a case-by-case basis, with the Editors-in-Chief being responsible for the final decision in all cases. Plagiarism is defined by the Xia & He Publishing as use of information, including textual descriptions, figures/tables and data, from a previously published document without proper citation or reference to the original source. If the journal discovers the misconduct during the review process, the manuscript will be immediately withdrawn from consideration for publication and any of the following actions may be pursued to resolve the offence: banning the authors from all journals published by Xia & He Publishing for a determined period of time, contacting the authors’ affiliated institutes, initiating an investigation by the COPE organization. If the case of misconduct is detected after the article has been published, Xia & He journals will pursue any and/or all of the following actions to resolve the offence: publishing an erratum, retracting the entire manuscript, publication of an editorial discussing the matter, banning the authors from all journals published by Xia & He Publishers for a determined period of time, contacting the authors’ affiliated institutes, initiating an investigation by the COPE organization. Xia & He Publishing is very aware of our responsibility to correct errors in previously published articles. If there is sufficient evidence to prove an error in any published article, corrections must be made as soon as possible, in accordance with the requirements of the International Committee of Medical Journal Editors (ICMJE). Errors include but are not limited to a research claim, the label of a figure or a table that does not alter conclusions, authorship, and so forth. a) Corrections should be made immediately in the electronic version or printed page of the journal. The places that need to be corrected should be clearly indicated, with the correction date. The corrections should be included in the Table of Contents of either an electronic version or a print version of the journal. b) The corrected version, and the version with errors, should be available for future access upon request from the authors. c) The prior electronic version should contain a note that clearly indicates the existence of an updated version. d) If the error is major enough to jeopardize the fundamental results or conclusions of the research, retraction instead of correction will be demanded. The title of the submission should have the following format: "Corrigendum: Title of original article". It is advised to use the corrigendum Word templates. a) Retractions are not about punishing authors. b) Retraction statements should be public and linked to the original, retracted article. Xia & He has adopted the guidelines of the International Committee of Medical Journal Editors for the definition of authorship applied to submissions. All those designated as authors should meet all four criteria for authorship, and all who meet the four criteria should be identified as authors. All persons who contributed to the study or manuscript but who do not fulfill all of the criteria of authorship should be acknowledged (under “Acknowledgments” in the manuscript), subsequent to obtaining their written permission for acknowledgement. This includes persons responsible for funding, general supervision of a research group or general administrative support, writing assistance, technical editing, language editing, proofreading, advising, supplying materials, critical review, and so forth. The Digital Object Identifier (DOI) may be used to cite and link to electronic documents. The DOI consists of a unique alpha-numeric character string which is assigned to a document by the publisher upon the initial electronic publication. The assigned DOI never changes. Therefore, it is an ideal medium for citing a document, particularly articles in press, because they have not yet received their full bibliographic information. The correct format for citing a DOI is shown as follows: doi: 10.14218/JCTH.2016.00006. (This example was taken from a document in the Journal of Clinical and Translational Hepatology). When you use the DOI to create URL hyperlinks to documents on the web, they are guaranteed never to change. The PDF proof will be sent to the corresponding author by email, or a link will be provided in the e-mail so that authors can download the proof themselves. Please review the proof of your paper carefully, checking for any final typographical errors or minor necessary updates. We will do best to get your article published quickly and accurately. Please let us have all your corrections within 48 hours, in one communication. Please check carefully before replying, as inclusion of any subsequent corrections may not be guaranteed. Proofreading is solely the authors’ responsibility. Note that Xia & He Publishing may proceed with the publication of your article if no response is received. JCTH is published as both a printed version and electronic version. ERHM and JERP are published online, and only printed as a hardcopy once annually. The PDF that is available online is the same as the printed hardcopy. For any inquiries, please feel free to contact us at feedback; or email to service@xiahepublishing.com.